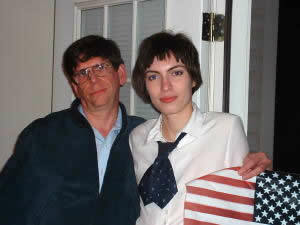 The safest place to meet a Russian lady is in the USA. Russian ladies that reside in the USA become members of Encounters International (EI) in the hope to meet a man of their dreams and get married. Our monthly socials are a great opportunity for our clients to meet face to face. There are no 90 day fiancée visa restrictions or qualifications for getting engaged or married, including a long list of documents for K-1/fiancee visa paperwork. Take enough time to get to know each other and become engaged when the time is right. No problem with the language barrier. She is not going to use you as a means to get to America, as she is already here. Many Russian ladies in the EI database are US citizens or Green Card holders. There are no associated expenses and emotional issues of traveling and for overseas dating arrangements. She is right here. She is not a scammer or attached to a local agency overseas who often initiate and maintain correspondence on her behalf and at the client’s expense. There are always fewer Russian women in the USA to choose from than in Russia. 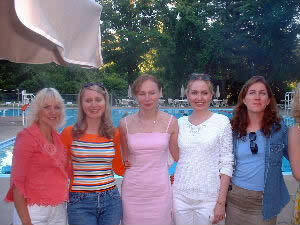 Over time, Russian women who live in the USA have developed higher expectations than before coming here. They are likely not as flexible to move to another state, as they may prefer to date a man from the same state. Check the EI online database by selecting "location USA" as the a main search criteria, and then write a note to the chosen and interesting ladies. Include contact e-mail and telephone number in the message. Most Russian women here have access to the Internet and will respond directly. Updated photos and profiles often perk local Russian women’s interest so they then are more likely to initiate communication with you. EI sponsors monthly social events that are relaxed opportunities to meet marriage-minded Russian women in person while both can enjoy the party. Check the schedule of upcoming social events when visiting the Socialize with Russian Women page. View the slide shows of previous social events and read new announcements on the What's New page. EI tries to plan the format the parties to fit different type of personalities. These monthly socials may vary by theme, place, and the number of people who attend. Some socials are held in private homes, and they tend to be relatively small (between 25 and 40 people). Such socials are perfect for those who are not comfortable in large groups of people. Other socials are held outdoors or at a swimming pool. They typically attract a larger group. Finally there are "Special Events" held at Embassies or at a private beach party, which often are attended by hundreds of people. When travel arrangements to attend an EI social are needed, choose the most comfortable party format. Then contact the desired ladies to let them know to also come. This provides a best chance to meet all the desired ladies in a comfortable location and environment. Meeting a Russian woman in the USA is truly the safest way to meet a Russian woman. EI client have gained the highest reputation possible in the Russian singles community for being well established in life and serious about a marriage. As a first logical step to meet and marry a Russian woman, check the EI database, choose a desired choice of a Russian woman in the USA, and make a contact.